Whether you’re after great ice cream, craft beer, a quick al fresco lunch or a patio dinner, Chris Nuttall-Smith has got you covered. If you don’t yet have an upstart scoop shop or soft-serve parlour in your neighbourhood, just blink – it’s coming any second now. The city’s perpetual-motion artisanal-everything movement has discovered ice cream and gelato in the last few years. Keeping up with the newbies is nearly a full-time job. I love the venerable (and pre-boom) Ed’s Real Scoop (2224 Queen St. E., and other locations; edsrealscoop.com) empire, but then I’ve also fallen hard for Kekou Gelato House (394 Queen St. W. and one other location; kekou.ca), with its deliciously wide range of Asian flavours (fresh guava and plum salt; jasmine tea and almond tofu soft serve), and the often avant-garde Death In Venice (536 Queen St. W.; deathinvenice.ca). I’m also a sucker every time for the deservedly queue-clogged Bang Bang (93 Ossington Ave.; bangbangicecream.com). 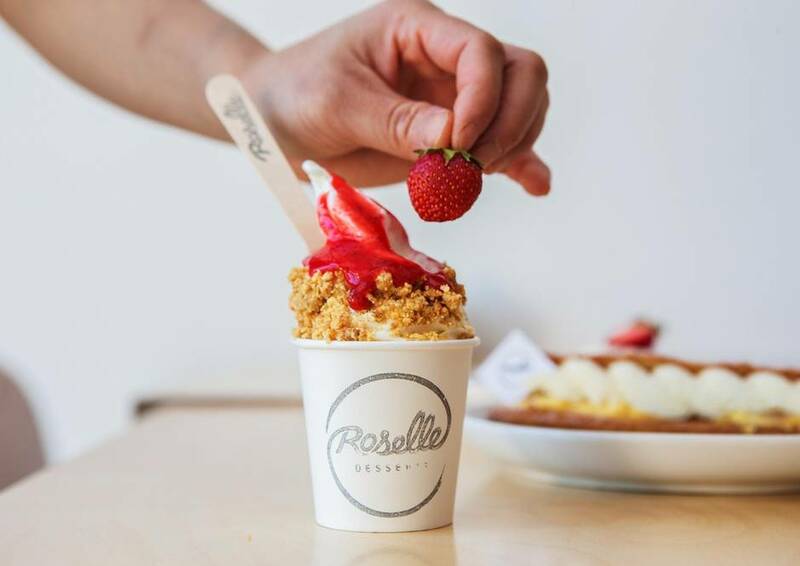 For clean, simple, beautifully balanced flavours, though (and without the hype), I’m a fan these days of tiny Roselle Desserts (362 King St. E.; roselleto.com), where a pair of top-flight pastry chefs spin out gloriously grown-up-tasting sundaes. They’ve done Earl Grey soft serve with lemon curd and sable cookies, for instance (the shop makes just one soft-serve flavour at a time), and more recently they’re doing a tart, semisweet buttermilk soft-serve sundae with graham cracker bits, fresh strawberry coulis and a tiny Ontario strawberry on top. The French-style pastries here are some of the best in town; be sure to get one of the incredible eclairs to go with. 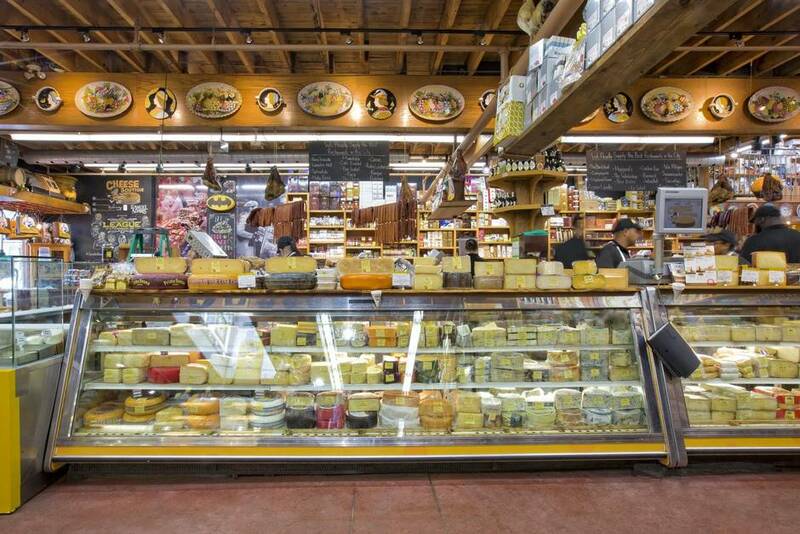 The Cheese Boutique (45 Ripley Ave.; cheeseboutique.com) isn’t merely Toronto’s best-stocked gourmet grocer and cheese monger – at 46 years old this fall, the west-side institution is one of the greatest cheese shops this side of France. The Pristine family, which owns and runs the place, is expert at the art of affinage: carefully aging cheese to well beyond the usual best-before dates, to bring out its very best. In recent years they’ve also dived deep into salumi making, butchery and dry-aging (the meat counters here are top-rate), as well as into bread and pastries. It’s an ideal supply point for a bike excursion up the Humber River, or a lazy lunch in Sunnyside park. Best bets: pick up one of Cheese Boutique’s honey, raisin and hazelnut boules, a lush, summery goat’s cheese from the Loire Valley, a quadruple cream Brie, a hard, nutty-tasting manchego, a container of marcona almonds, some membrillo – that’s Spanish quince paste – and a mess of pickled vegetables and olives. (The olive counter has 30 different kinds.) Stroll into the produce section for some stonefruit and local strawberries, then to the salumi counter for sliced culatello and duck rillettes. Not far from there, you’re going to want to pause at the display of sparkling lemonade from France. (Take two.) Maybe eyeball your basket after that. It’s not enough, right? So ask for a bit of Henry Goes To the Opera, a chèvre noir from Quebec that Afrim Pristine ages for two years in the company’s cellar. It comes enrobed in a wax-like casing of hardened honey, from the bees that live on the roof of the Four Seasons Centre for the Performing Arts. If your weekend plans take you eastward, (Rouge Beach and Rosetta McClain Gardens, both on Lake Ontario, are ideal spots), head instead to Adonis (20 Ashtonbee Rd. ; groupeadonis.ca), the extraordinary Lebanese supermarket with the glassed-in pita-making plant as its spellbinding centrepiece. Start with some of those warm pitas before heading to the prepared dips and salads counter for supremely fresh-tasting hummus with harissa, as well as containers of baba ghanoush and tabouli. The pastries counter is near there (the selection is terrific, though it doesn’t touch the quality of Crown Pastries, a new Syrian pastry shop at 2086 Lawrence Ave. E., a four minute drive away; crownpastriesbaklava.com), and at the other end of the store, the Middle Eastern cheese selection is one of the best I’ve seen. Do not miss the olive and pickle bar (check out the pickled wild cucumbers) or the display of variously roasted, seasoned and candied nuts and legumes. Last time I was there, they also had fresh green almonds in the produce section; slit the soft, jade-coloured shells open with your thumbnail, then pop their tart, deliciously mild-tasting contents back. In a city that’s suddenly awash in craft beer companies, the five-year-old Bellwoods Brewery (124 Ossington Ave.; bellwoodsbrewery.com), with its constantly changing lineup of beautifully made sours, saisons, porters, IPAs and barrel-aged wild ales (among other selections), feels like an elder statesman of the scene. 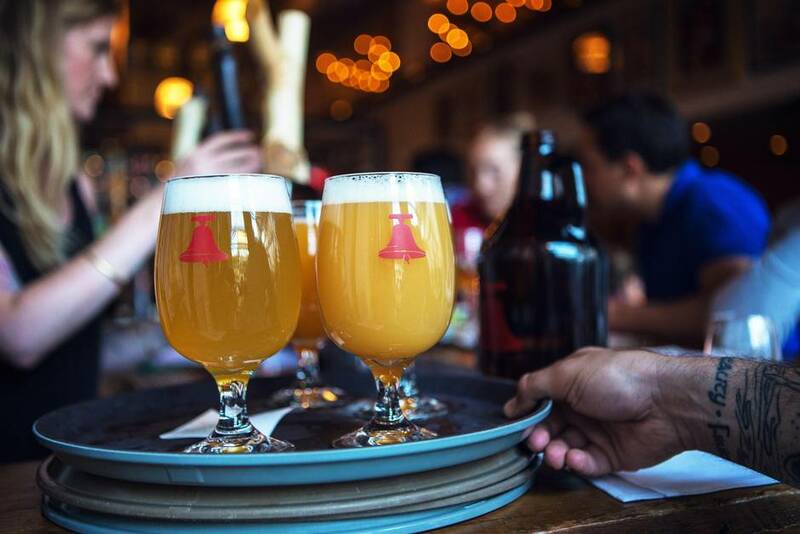 It doesn’t hurt that Bellwoods’s patio, lit by warm-glowing string bulbs, is one of the nicest in the area – a genuine neighbourhood living room, with excellent beers to match. It’s an ideal place to while away a summer night. I’m also partial to the friendly and understated Left Field Brewery (36 Wagstaff Dr.; leftfieldbrewery.ca) and the great-granddaddy of the city’s craft beer movement, Yonge Street’s top-notch Bar Volo (587 Yonge St.; barvolo.com), where the cask and bottles lists are a hophead’s wildest dreams. Remember when street eats in this city meant only hot dogs? In the space of just a few years, the term has expanded to include roving food trucks, pop-up festivals, expanded offerings at farmers’ markets and seasonal outdoor food markets – two of which are located within blocks of each other downtown. At Adelaide Place (150 York St.), the summertime Front Street Foods market’s 21 vendors include the Chase company’s Little Fin seafood spinoff, a Holy Chuck Burger, a satellite of The Rolling Pin, the cakes and doughnuts company, and a specialist in Swiss raclette. Union Station’s outdoor summer market, meantime, has a Burger’s Priest, a Momofuku Noodle Bar spinoff, ice cream booths, all manner of sandwich possibilities, pizzas, pierogies and Mexican-style street corn. 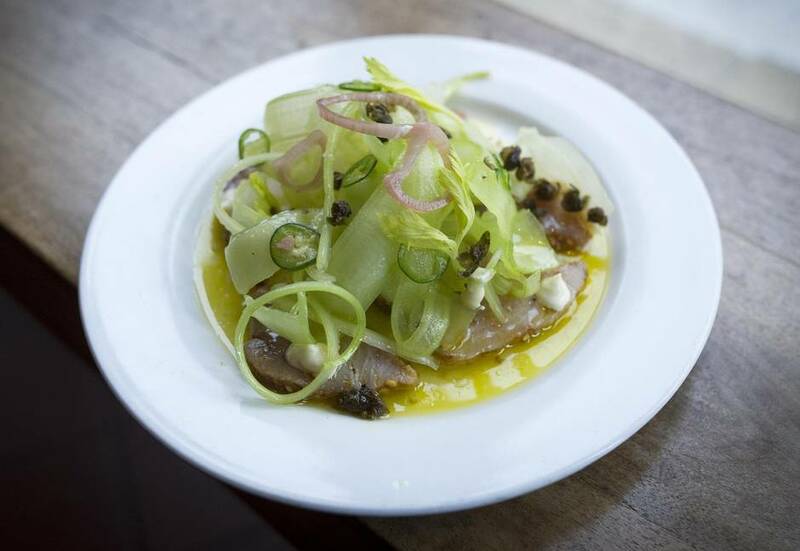 At Union, as on York Street, it’s good, a lot of it, even if it’s not always at the level you find at sit-down restaurants. That’s okay, though: it beats the tyranny of street meat every time. While there are plenty of great restaurants and great patios in this city, great restaurants with great patios are an exceedingly rare breed. The good news: this makes the standouts shine even more brightly. The one outside Enoteca Sociale (1288 Dundas St. W.; sociale.ca), which is shaded by a giant maple, is one of my favourites; between the stellar cooking and the vibe here, it feels a lot like eating in a friendly, out-of-the-way piazza in Rome. For a totally different feel (and wickedly tasty Southern cooking), I love the bourbon-stained space outside Electric Mud (5 Brock Ave.; electricmudbbq.com) in Parkdale. On the east side, the patio outside Maha’s (226 Greenwood Ave.; mahasbrunch.com), the superb, family-run Egyptian brunch and lunch spot, isn’t a scene so much as an escape from scenes: it’s friendly and peaceful and the dishes are incredible (try the chef’s appetizer platter). And few patios anywhere serve better drinks and food than the one at Bar Raval (505 College St.; thisisbarraval.com), the crazy (but justifiably) popular Basque-style breakfast, cocktails and pinxtos spot on College Street. Grab a table in the setting sun if you can. Order a few beers or sherries, some smoked mackerel and mojama, some Spanish ham and cheese and settle in for a bit. It’s one of the best ways I know to start a great summer evening on the town.